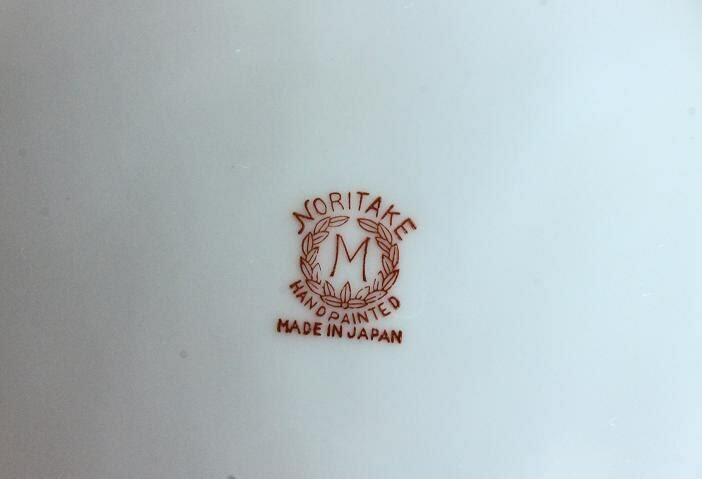 This is a charming salad plate made by Noritake. 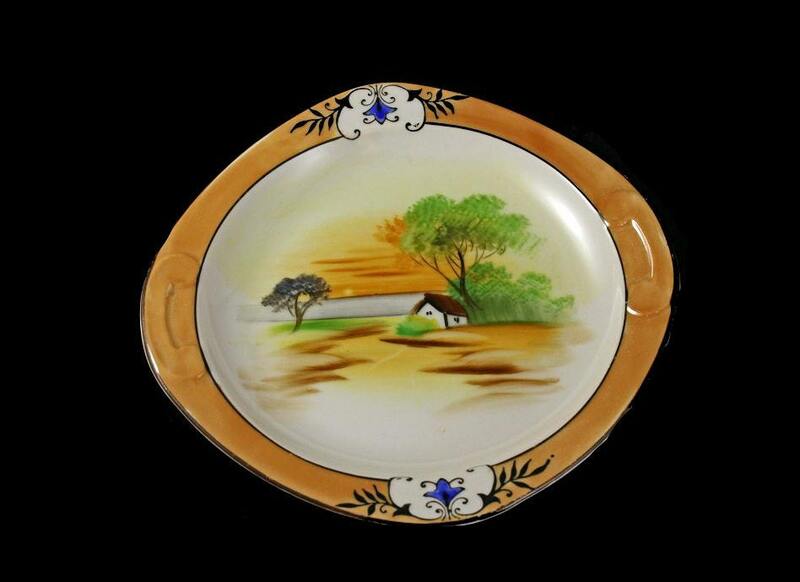 It is Lusterware which gives it a wonderful shine and gloss. 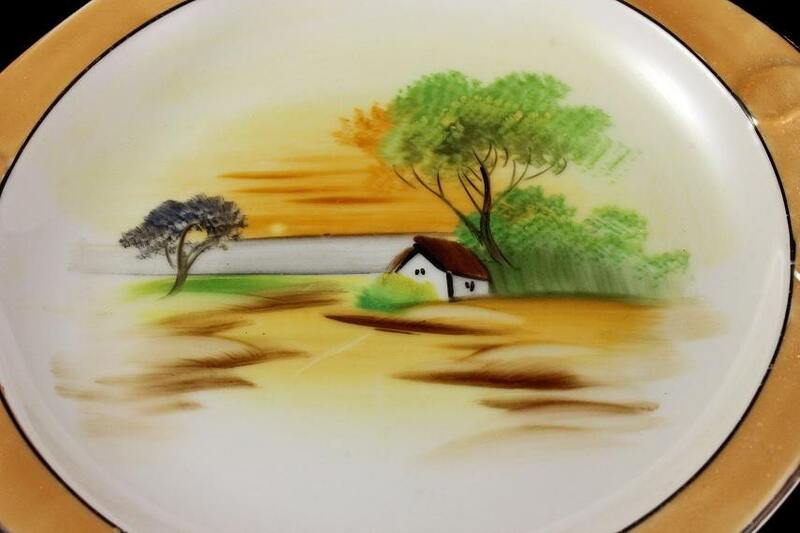 The design is hand painted and it is of a house and trees. This would be a great display piece. A wonderful item for the collector. 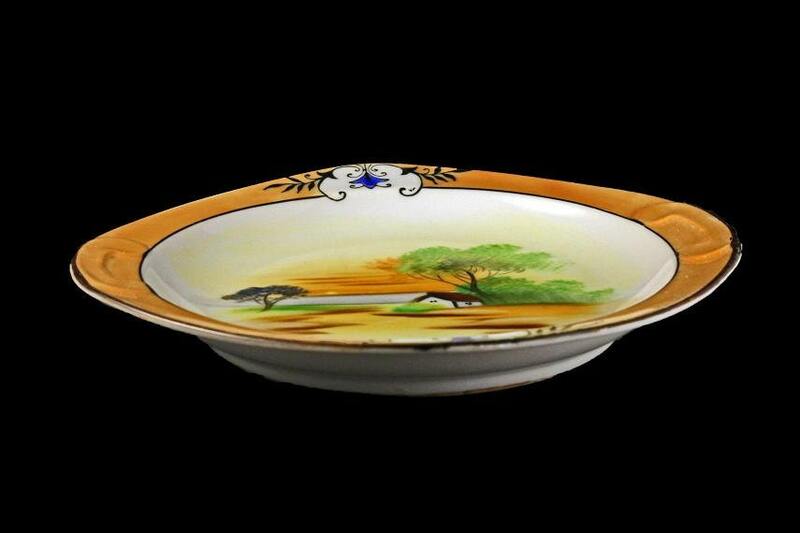 A great serving dish that could be used to serve any number of things. 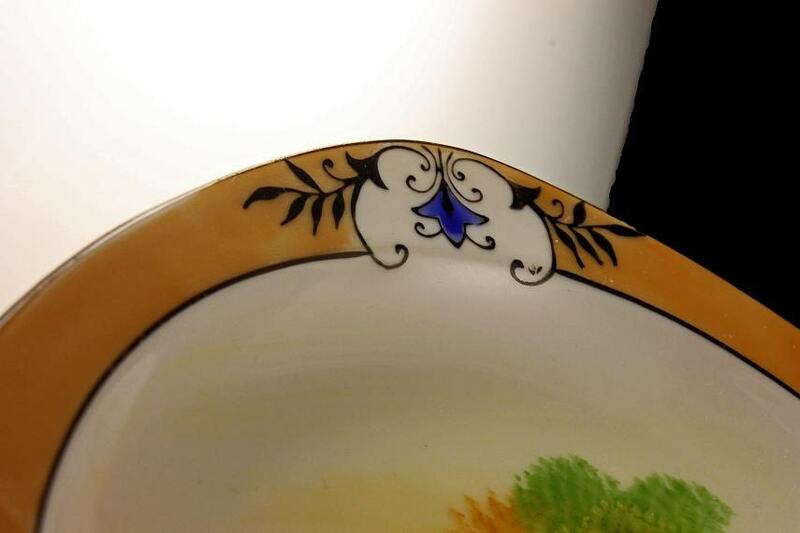 This dish is from the 1930s and it is in excellent shape. There are no chips, cracks, or crazing.